And I Guarantee You’ll Feel Brighter, More Spiritually Connected, and Happier as a Result. Have you ever noticed how some people seem to effortlessly shine with light, joy, and positivity? It’s like lady luck is on their side, other people naturally like them, and new opportunities seem to magically follow them around. Or maybe it seems like they’re enlightened… But that's not it either. They have simply uncovered the secrets to raising their vibration. And now with help from the angelic realm, you can tune into these same vibrant qualities, tap into the power to manifest your goals, expand your awareness and tune into greater joy, love and fulfillment now. Wait… What Do You Mean “Vibration”? Your personal vibrational frequency is the combination of every choice, thought, belief, and experience you have and ever will have. It’s your constantly changing and evolving state of being that is influenced by every choice, action, and moment. Your overall vibrational frequency plays a huge role in what you create and experience in your life. Put quite simply, when you make choices that are in alignment with love, joy, expansion, and connection, your vibration naturally raises. When you tune into fear, doubt and contraction, your vibration declines or contracts. So naturally, raising your vibration is key when it comes to co-creating an enjoyable, fulfilling, and beautiful life. But knowing that you need to carry a high vibration is only the start. Back when I first heard of “vibration” … I instantly realized that my personal vibration was quite low. Years of listening to doubt, fear, and the loud voice of my ego had left me disconnected, depressed, and way down there on the vibrational scale. I knew I needed to stop being so negative so that I could allow more love and light into my life. But the supposedly “tried and true” methods of spending time in nature, meditating, exercising, practicing yoga, even detoxing and eating healthy just didn’t seem to be enough for me. I was still unhappy, and as was confirmed by my first spiritual teacher, my vibration really was quite low. But then I learned to connect with the angels during my meditations. Suddenly I was no longer alone in trying to raise my vibration, heal, and improve my life. I had angels who were helping me. They started doing the “hard work” of raising my vibration for me! While I just relaxed, and let it happen. And now, after years of working with the angels, and helping thousands of people to connect with their healing, love, and guidance. Cleanse Your Mind, Body, and Spirit, Raise Your Vibration, and Energetically Align You with the Love, Happiness and Success That’s Waiting for You! You simply press play and listen to the three channeled .MP3 angel sessions then you can let got and relax while letting your team of guides and angels do the rest. 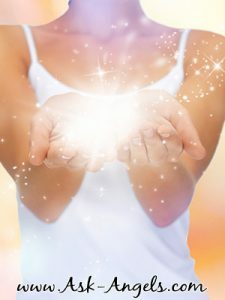 You will effortlessly receive an energetic cleanse, an infusion of light, and a complete realignment with your highest vibration and authentic soul light. All you have to do is listen, and automatically your angels will be invoked for you, your energy cleansed and your vibration will be raised. Replenish your energy and elevate your vibration to a new height. Experience greater light, well-being and fulfillment in all areas of your life. Cleanse your energy and raise the vibration of your space. Release all that is out of alignment with your highest vibrational truth. Restore your full light and your Divine authentic truth. Benefit those around you, the entire planet and all that is. Realign with your highest soul truth. Step into what it really means to be a fully awakened divine being in physical form. Let go of limitations and illusions so you can see your true soul light, purpose and desires. Create and manifest true fulfillment. Experience your fully illuminated state of being. Release the fear that keeps you from aligning with what is your true hearts desire and living in alignment with your unique light. Let the full blessing of what you’re able to experience in this life appear. Align with your inner dreams, inspired ideas, and with the infinite soul light and potential for your life. Three channeled angel sessions channeled by Melanie Beckler with Archangel Michael, Archangel Metatron and Orion For Only $47! Ever had the feeling like you know you should be doing something, you want to be doing something … But you just don't have the energy, or motivation? Have you ever felt like you're procrastinating… But you don't want to be? Listening to this isochnoic tone meditation will help to quickly boost your energy, and shift you out of procrastination and give you the energy and motivation you need to get into action. Click the button below to get instant access to these powerful angel sessions, now! And remember, as always… You get my 30 day, 100% money back guarantee. 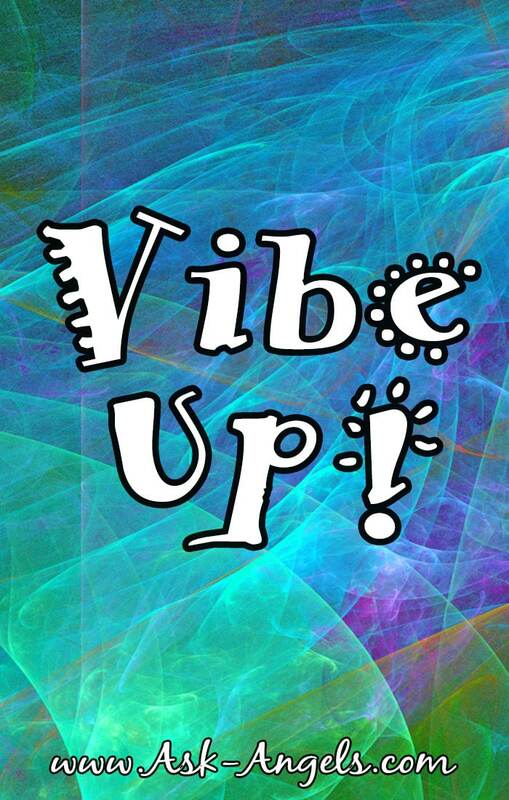 If you don't love the Vibe Up course and if for any reason you don't feel an instant shift in your vibration after you listen, just email me and I'll happily refund 100% of your investment, no questions asked! P.S. Wondering what others are saying about the Vibe Up Sessions? Thank you very much Ive already paid for your angel sessions and they wete very helpful! Thank you! My Atrwork has shown to flow from me effortlessly and in a zone of timelessnes. I would love to stay in this space. My physcial challenges of MS seem to melt away and I have very little pain and energy unexplainable. Your guidance has been such an awakening for me. I’ve received such an astonishing amount of strength. Thank you. Starting to feel a change, thank you for your vibrations, feeling encouraged? Yay! So wonderful to hear… Through not surprised! Excellent and precious guidance. Very grateful to you. Thank you very much for sending mails regularly. Thank You for your insightful emails I wait to read them daily ? Awe, thank you Lalita! With love and gratitude.. ?? ?